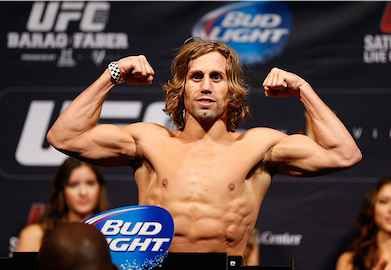 Former WEC featherweight champion Urijah Faber says he understands the UFC’s choice to showcase him on the prelims for this weekends UFC 175 event in Las Vegas. UFC 175 takes place this Saturday night (July 5) live from the Mandalay Bay Events Center in Las Vegas, Nevada. Urijah Faber (30-7 MMA, 6-3 UFC) vs. Alex Caceres (10-5 MMA, 5-3 UFC) will headline the events prelims, which air on FOX Sports 1. Stay tuned to BJPENN.com for all your MMA News!